Sierra Counseling and Neurotherapy (SCN) is a comprehensive mental health and substance abuse clinic. We are located at Eagle Medical Center in Carson City, NV. Carson City is the state capitol of Nevada and located at the base of the beautiful Sierra Nevada mountains which surround Lake Tahoe. Our attractive offices in a new medical facility allow us to offer an extensive array of professional psychological services to meet your personal needs. We offer a variety of counseling, consulting, and therapy services ranging from individual, family and group sessions to state-of-the-art neurotherapy. This allows our clients to have the choice to pursue conventional forms of counseling or explore new dimensions of treatment based on modern neuroscience. The clinicians at SCN have extensive experience with the entire range of mental disorders and substance abuse treatment. We are also deeply committed to a focus on building good mental health which involves more than treatment of disorders such as depression, bipolar illness, or anxiety. Good psychological functioning includes areas such as our ability to experience satisfaction in life, enjoy a pleasant night’s sleep, or to see ourselves and our identity in new and creative ways. Additionally, it may include adaptive coping in exceptional life adjustments such as preparation for major surgery, dealing with difficult medical treatment, transition into midlife or retirement, and development of stronger ability to resolve marital, relationship, or employment conflicts in a satisfactory manner. The development of good mental health also includes maintenance of a healthy emotional life. Emotional resiliency and flexibility are useful traits at any life stage. They allow us to be comfortable with our feelings and their expression, help adolescent’s make a successful transition to school or from adolescence to adulthood, and add depth and richness to our lives at any stage. The ability to be proactive and creative on issues as diverse as parenting conflicts, blending children into a step family, or finding resourceful ways of providing family support for elderly parents are also a part of good mental health. Counseling and psychotherapy are processes which enable a person to explore their life experience and find new ways of seeing themselves or thinking about their difficulties of today. Such processes are collaborations between clients and counselors which afford an opportunity to understand current problems in a way that opens solutions not immediately available without a new perspective. Working with a counselor enables a person to place their problem within the broad context of the counselor’s experience and expertise, developing a perspective and resources that are not available from a family member or friend. As a result, new possibilities are created and a more effective and satisfying approach to life problems can become a reality. Dr. Jenkins received his undergraduate and graduate degrees in Counseling and Psychology from Pennsylvania State University. He was tenured as an Associate Professor in Psychology at Elizabethtown College and he was Director of Clinical Services for the Nevada Rural Mental Health System. With the Rural Mental Health System, he served as senior clinical supervisor for all clinicians of sixteen clinical offices across the rural areas of Nevada. In addition to his work in these positions, he has been a consultant and board member for hospitals, sports organizations, and numerous public and private organizations, including Federal agencies. 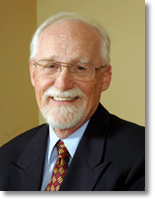 Dr. Jenkins has always maintained a private clinical practice in individual and family therapy. 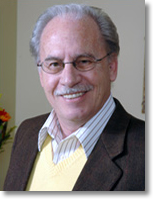 His private practice has included training and supervising therapists from a variety of disciplines using the Milan Therapy approach. 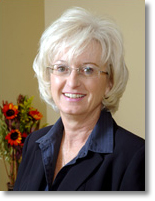 Dr. Jenkins has served on the Nevada Board of Marriage and Family Therapist Examiners and he served as Treasurer for the Nevada Association of Marriage and Family Therapists. Additionally, he has many years of experience as a small business owner and has been a nationally competitive athlete. Ms. Perrine received her Master's degree with distinction from the University of Nevada, she is a licensed Marriage and Family Therapist, and she is also a Licensed Drug and Alcohol Counselor. She has extensive experience in the mental health field as a Mental Health Counselor and clinical supervisor, and is the recipient of a Nevada Senatorial Award for her work. Ms. Perrine is an instructor at the University of Nevada, Reno where she teaches for the Human Development and Family Studies Program. Ms. Perrine works with individuals, couples, and families. She specializes in counseling survivors of domestic violence, abusive relationships, and Post Traumatic Stress Disorder. She is experienced in performing Drug and Alcohol evaluations and skilled in group therapy, especially substance disorder groups and survivors of domestic violence groups. Mr. Cinani received his B.A. degree from the University of Nevada and his Master's degree from the University of Alberta in Psychology. He has been an instructor in psychology at community colleges and consultant to the Provincial Government of Alberta, Canada and the Nebraska State Department of Developmental Disabilities. He has 25 years of experience in the mental health field as an administrator and therapist. Mr. Cinani has specialized in the application of biofeedback and Neurofeedback to clinical conditions in the areas of mental health and alcohol and drug treatment. Mr. Cinani has also been the director of an addiction evaluation and treatment center and responsible for biofeedback training in a pain clinic. He is a licensed Drug and Alcohol Counselor and certified as a group facilitator for treatment for perpetrators of domestic violence. Mr. Cinani also holds BCIA-EEG certification with the Biofeedback Certification Institute of America.